In 2009 The Church of Scotland brought together the working group to focus on the needs of those in our communities with Learning Disabilities. The ecumenical group consists Council Members and staff from the Mission and Discipleship Council and co-opted members who bring personal experience and professional expertise. Working together we look at the issues raised in our Focus Groups of those with Learning Disabilities and their companions. Part of our vision is to build a network of Learning Disabilities Contacts. These are people who are interested in making the church a place of togetherness and inclusion for all. They can be an everyday member of the church or someone in a voluntary role or an employed person. We will keep a note of their contact details and send them updates and information. We hope to go out and about on the road to meet with our Learning Disability Contacts. The task of church leaders is to create the circumstances where communities of belonging become a genuine possibility. All relationships are fuelled by listening. We recently listened to our friends with Learning Disabilities as they told us about what we can all do to take a community of faith from a place of inclusion to a place of belonging. They put together this list of Top Tips. At the beginning of 2017 the Learning Disability Working Group was thinking about how best to resource and inspire all the people across the country who are interested in making church better for those with Learning Disabilities. 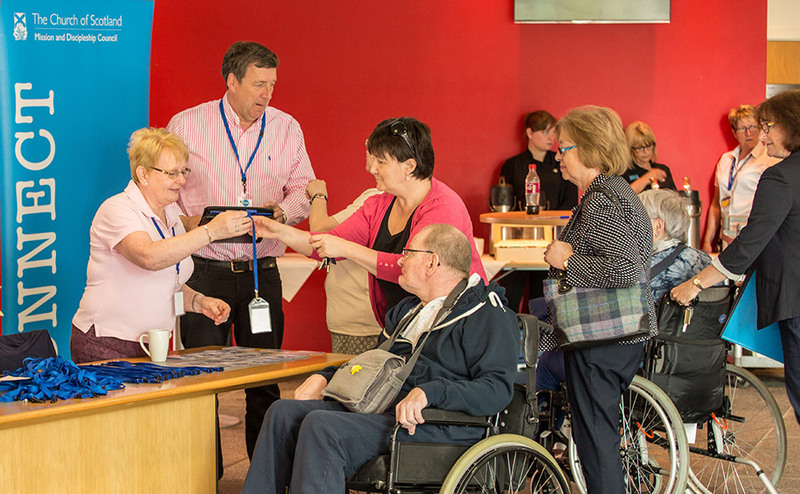 We had provided some very successful conferences but we were aware that sometimes people may leave a conference feeling inspired and resourced but are unable to put what they have learnt into action. How do I actually make a difference in my local community? What are the first steps? 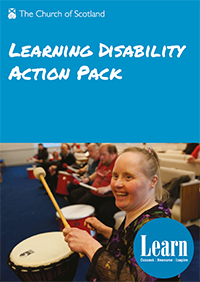 So the Learning Disability Working Group created an Action Pack. The Action Pack takes you every step of the way from your first questions – “ What does the bible say about disability?” right through to creating change in your community. The Action Pack helps you assess what is right for your church and your area. Perhaps your church could run a special service tailored to those with Learning Disabilities or perhaps you could start with just a few small changes to the Sunday morning service. The pack has free posters and templates, service plans and top tips. It even guides you on how to talk to others with example emails and invitations. It really is all you need! The pack has been sent to every congregation in Scotland and is available to download here. The new learning and development publication. This new learning and development resource is for those in our congregations who are seeking to enable those with learning disabilities to meaningfully belong to their church community. This free resource is designed to be a starting point. It contains an article written by John Swinton entitled Creating Communities of Belonging. The article is followed by discussion questions, suggested points of action and further reading. It is designed to generate discussion and can be used in a flexible way within group settings or for study by individuals. Find out more about the free resource. The Learning Disability Group has also commissioned a short animation film. This film gently opens the discussion about how we can reach out to the community and open our churches to those with Learning Disabilities. We made a film !!! The Learning Disability Working Group has been very busy making a film. The film is designed to be played at Presbytery and Kirk Session to gently introduce the idea of working with those with Learning Disabilities - but we are happy for it to be played anywhere and everywhere! Lots of our congregations do not have people with Learning Disabilities in them so the conversation has never come up but Government statistics show us that every community - across the whole of Scotland – has people with Learning Disabilities. So they might not be in your church (yet) but they are in your parish. If you would like us to post out a DVD of the film or arrange an electronic transfer please email us at learn@churchofscotland.org.uk. 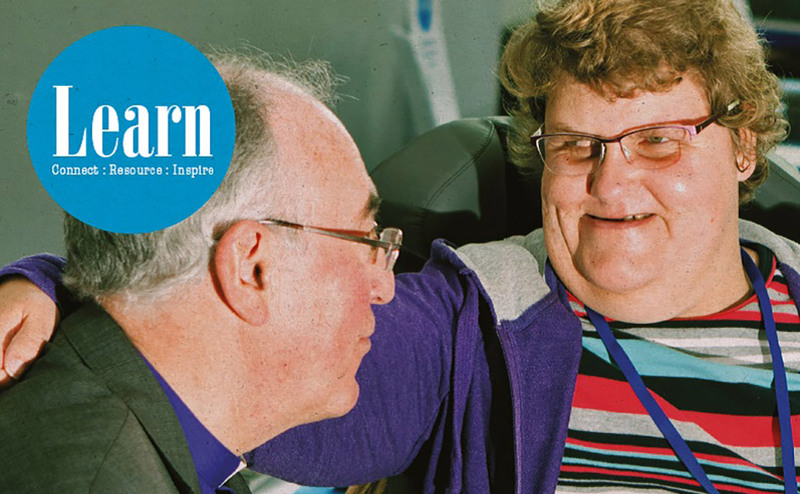 The Learning Disability Working Group looks to connect, resource and inspire the body of The Church of Scotland to look further at the way we do church to open the family to as many different people as possible. We have had two Learning Disability Conferences. Our 2015 conference entitled "Creating Communities of Belonging" was delivered in partnership with a group of people with learning disabilities and was attended by more than 80 people drawn from a variety of denominations. In 2016 our conference looked at 'God's call in the lives of those with Learning Disabilities'. With input from CrossReach, Faith and Light, L'Arche, Scottish Churches Disability Group, Comrie Special Friends, Prospects, SquareWholes and RoofBreakers it was a really special event. At both conferences we have tried to learn directly from individuals about their personal journey of faith and their understanding of calling. 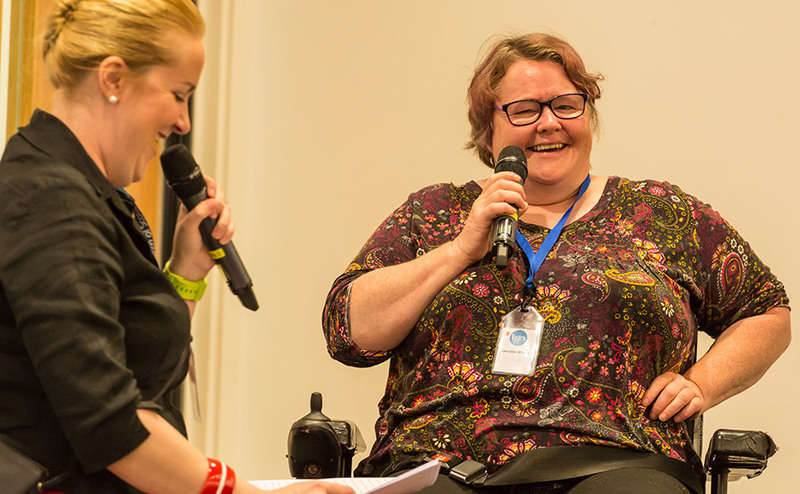 We see the conferences as opportunities to break down barriers of reticence by modelling relaxed and direct communication with those with Learning Disabilities. Naturally highlighting the individual nature of faith expressed, as always, through the lens of personality and the spectrum of preference - seeing the person not the disability. Sometimes this has been done with face to face interviews, sometimes with pre-recorded film.